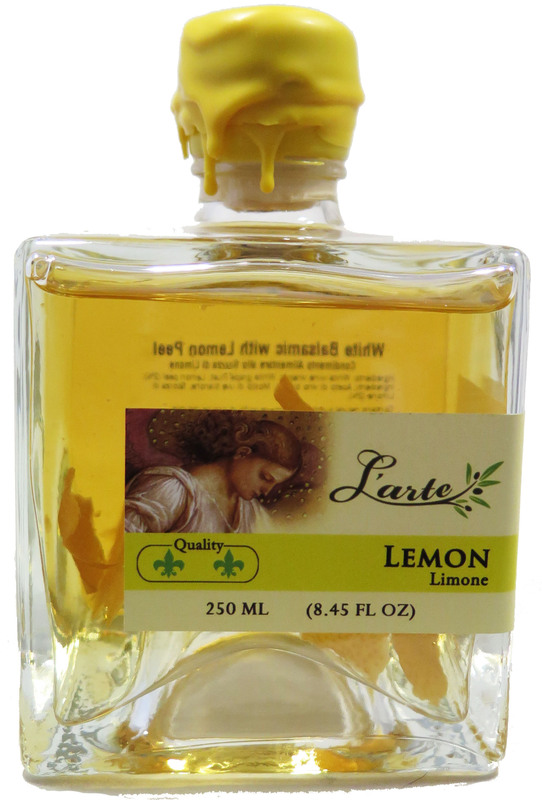 The Lemon White Balsamic is made with organic lemons from Sorrento. 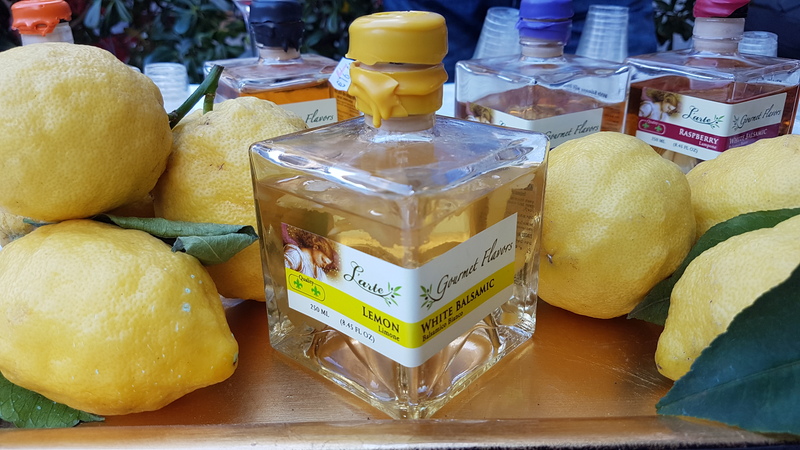 These lemons are known as the sweetest in Italy and are incredibly aromatic and full of sweet lemon zesty flavor. These organic lemons are small with imperfections and blemishes but give a fantastic taste to anything you want to to add this delicious lemon flavor to. Our white balsamic gourmet flavors are made using our accolade-winning white balsamic aged in oak barrels for 4 years. Then, we add natural flavors that perfectly compliment the delicious white balsamic. Trebbiano & Malvasia grapes are first pressed and the resulting grape juice is slowly simmered over a kettle for 36 to 72 hours to concentrate the flavor of the grapes and the sugars in the grape juice. 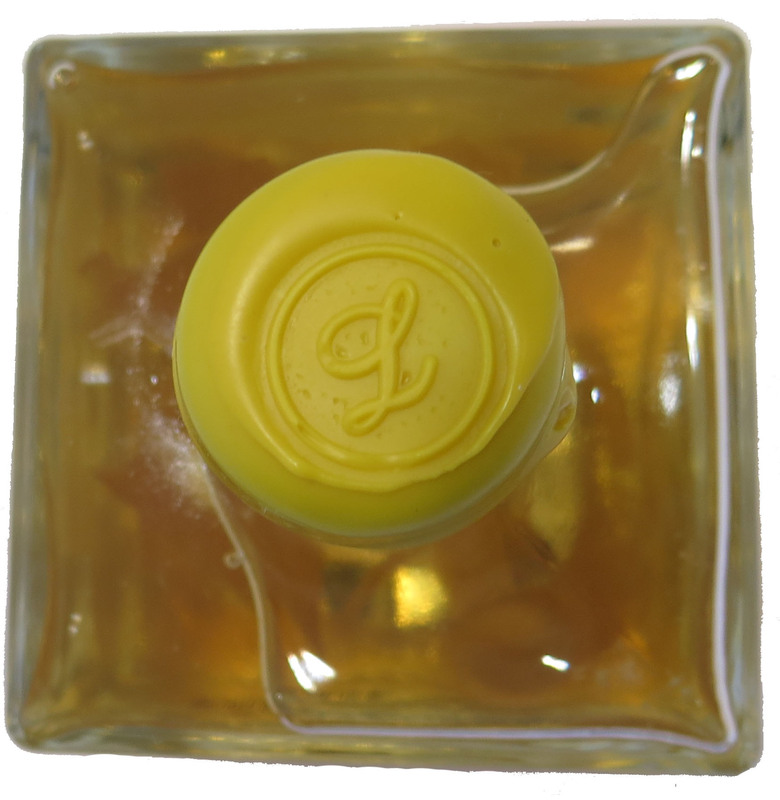 The resulting syrup is aged in tightly closed oak barrels for 4 years to preserve the natural straw yellow color and combined with wine vinegar for the perfect balance of sweet and sour. Recipe suggestions: We are literally using the Lemon White Balsamic on everything. You can use it on salads paired with our award-winning Extra Virgin Olive Oil or make a dressing with yogurt and dill. It is a great addition to pan fried or barbecued chicken, salmon and pork. 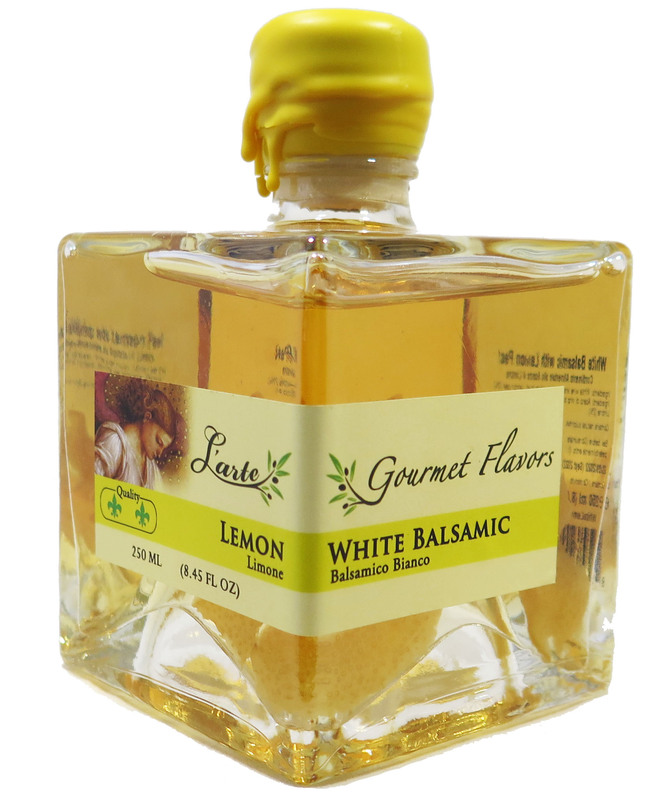 Just a drizzle brightens almost any dish and The Lemon White Balsamic is perfect when you want a zesty sweet lemon flavor.